At Thik Solutions we are totally business-focused, so we know how important your web presence is to your organisation, whether it’s commercial or not-for-profit. Our experience has taught us that great websites don’t happen by chance – they are the result of great design, built on a solid foundation. That foundation is in-depth understanding of everything our clients need their website to do. Unique creative design will attract visitors for you website. Well optimized development will make your website loading more faster. All the new frameworks and tech tricks uses to power-up web pages. 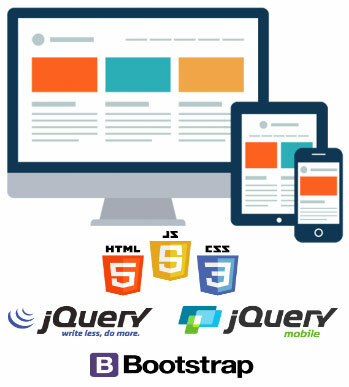 Your website is responsive and works on all devices and major browsers. All required features securely included to build your online business. With support of PHP / MySQL your website become more interactive to visitors. Better SEO and Social enabled websites generates more sales and returning visitors. Prevent hackers and spammers by adding additional layers of security to protect website. With every website design / develop project, basic on-site Search Engine Optimization included by setting all meta data and attribute data filled with your keywords. We host your website in our own servers plus giving you all the cPanel access and 24x7 support. Server uptime and speed is guaranteed with SLA. Thik Solutions will not leave you when the job done. Our support team is here to help you at anytime with phone and email support. Build your business Website with us! Want to get an estimate?